Katie Souza is the "real deal" and her own testimony is as raw and transparent as it gets! If you knew her story from her past, you would even say, "No way!" Now that's the incredible redemption of God. You will see this and much more as you watch this anointed episode from Katie Souza called: "Metal Disappearing from Bodies!" I saw healing miracle after healing miracle happen right before my very eyes, as Katie Souza was at our recent annual conference earlier this year. Many people in the audience out of nearly 1000 people were totally healed! 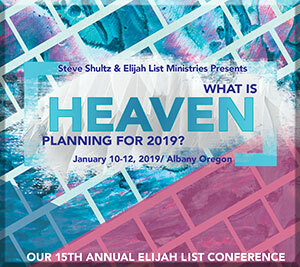 I also encourage you to get this 8-session message offer just below from our conference which we made available for you, our Elijah Streams viewer! The reviews are in! And people are saying our annual conference this year was the BEST they've ever attended! Not only was it a life-changing event, but it brought miracles, signs and wonders on top of it! 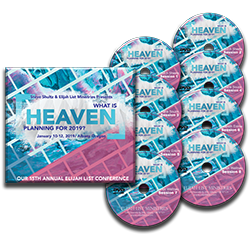 Call 866-967-3665 right now to order our "What is Heaven Planning for 2019?" conference set… ask for offer number 1021. Don't be fooled by thinking, "This is ONLY about the year, 2019" — as it's FULL of prophetic revelation for this year AND beyond! Dutch Sheets reveals: WHAT is coming to America, God's verdicts and decrees, and what happens when the next Supreme Court Justice is nominated, and WHEN major revival begins! During Katie Souza's sessions, not only were people 100% healed from pain, sickness and trauma, but the very metal placed in bodies from previous injuries—disappeared as well. YOU too can receive Jesus' healing power to manifest in YOUR life—right now! During Johnny Enlow's session, many found out just what their mountain of influence is AND received incredible activation and confirmation—as angels showed up in a mighty way to work with Johnny! Also, Johnny's wife, Elizabeth Enlow, shares the importance of being "re-oriented" with God and provides 5 "non-negotiable anchors" that will help YOU navigate the days ahead! And finally… you'll hear Dr. Lance Wallnau's historical message to the Church in this hour! 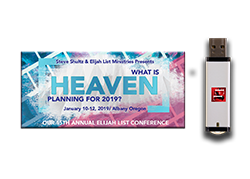 This power-packed set is all yours with special pricing for you, our Elijah Streams viewers!